Korean-style Insei League on KGS. Each group consists of 10 students, who play with each other (maximum 4 games per month with the same opponent) and 2 teachers (teachers donвЂ™t meet with each other). There is no pairing вЂ“ students can meet each other any time and put the results in online table, which counts the winning % and current places automatically. 1. Alexander Dinerchtein, 3p (breakfast on KGS) вЂ“ the owner of the peaceful playing style вЂ“ he will teach you how to play well in fuseki and yose. 2. 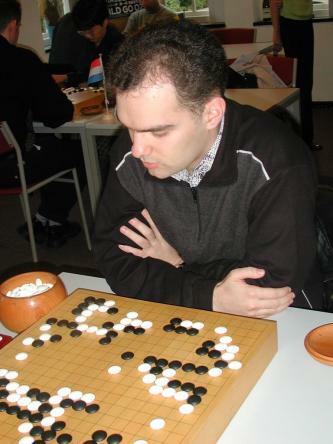 Ilya Shikshin 7d (roln111 on KGS) вЂ“with the aggressive playing style вЂ“ he will make you stronger at fighting. You will see that they have completely different styles of playing handicap games. At the end of the each month best 2 students (with highest winning %) promote to the next group, and 2 students with less impressive results go down. At the end of the each year the student, who showed best results (who won A-league most times) will get a 1000$ grant, which can be used for private lessons, offline study trips to Korea, Japan or China, Go books or Go equipment. Teachers are not allowed to get this grant. 25% of your games will be reviewed offline by Alexander Dinerchtein. More games you play вЂ“ more reviews you get! You will get these reviews once a week by e-mail. Last week-end of the month is for Blitz games. If you was very busy during the month, you can play lot of blitz games at the end and get your reviews. December 12: We already accepted 50 players. We don't plan to add more groups, so others will be in the waiting line. Our waiting line is unusual. If you pay early, but there are no empty places available, you are allowed to observe all audio lectures free of charge till you join us in February or March, when we get vacant places. If we decide to stop the project, you will get 100% money back. So, still accepting new members! with both teachers at the same time for an extra fee $2 per game. It means about 3-4 moves per game every day. must be played on the standard handicap for your division. How many players are in the waiting line? Current situation: 50 main players, 12 reserve. I sent FAQ file and insei list to all main players. If you feel, that you cannot take part - please inform me as soon as possible, so I will contact reserve players. I have a problem that i can't enter in january but like in march or april i want to enter to this league... what can i do? I quoted your remark at breakfast time in the news at EuroGoTV.com. Congratulations on filling up KILL - Korean-style International Live League! Nice to hear about the 40 players. I suggest you dont make plans for making it bigger until its running. These 40 players havent paid yet, and after 2 months there is high probability of drop-outs. Nice, already 40 registered! But what will you do if you have 100 people by Dec 20? We already have more than 40 registered players from 7d to 10k. Will probably add more groups, more lectures. Will even think about making the prizes in top groups biggers. There are lot of strong players in this list, including flashback, rubik, wichmaster, miao and others.